Here we go again. First, as CWN reported in 2009, Wells Fargo Sued Itself. Now, it’s Bank of America’s turn. Dow Jones Business Columnist and blogger Al Lewis flagged us to this latest nonsensical undertaking in the wacky world of foreclosures. Essentially, Bank of America is foreclosing on a property on which it services the loan for an investor and holds a second mortgage. Uh-oh, that creates a bit of a conflict. What to do? Let’s sue ourselves, of course. The company is literally seeking damages from itself in order to foreclose on a condo owner. The Huffington Post’s Zach Carter lays out all the details here, if you’re interested. For Bank of America, this is actually not the first time it’s sued itself in a foreclosure case. The company has done so at least 11 times in Palm Beach County. “Naming the second-lien holder in the suit is necessary to eliminate the junior interest,” Bank of America spokeswoman Jumana Bauwens told the Huffington Post. Okay, this might have a bit of a Karma feel to it, but you’ve still got to wonder, how exactly do people keep falling for the Nigerian “pigeon drop” scam. That’s where you are contacted and told you can get a much bigger pay-out, but first, you just have to send some of your money to make the transaction possible. Right, good luck with that. This time, attorneys, who you might think would know better, became the target, and, yes, many fell for it. Among them, the Minneapolis law firm of Milavetz, Gallop & Millavetz (MGM). The Minneapolis StarTribune reports MGM became a victim after receiving an email from someone claiming to be a Korean woman who needed help in securing a $400,000 legal settlement for an injury in their area. As it turns out, MGM was not alone. The government had begun a secret investigation of Nigerian collection scams that target U.S. attorneys. A Nigerian man and a Canadian resident were indicted in the case, but much of it remains under seal. Still, the government says the two were part of an international conspiracy targeting lawyers and law firms, which nailed 80 victims to the tune of at least $32 million. In all, there were some 300 known targets, with attempts to steal more than $100 million. So, how do highly educated, skeptical attorneys fall for this? According to the federal indictment in Pennsylvania, it went down like this: A co-conspirator contacts a law firm, usually by e-mail, seeking help to collect a legal settlement or payments from a divorce or real estate transaction. Another co-conspirator poses as a representative of the party who owes the money and then delivers a counterfeit check. After the check supposedly clears, the money is wired to a bank, usually in Asia, from which it disappears. Click here to read the full story in the Minneapolis StarTribune. Of course, we’re talking about lawyers being ripped off here, so while the money has disappeared, they believe someone needs to pay. In the case of MGM, the law firm is going after the bank, which frankly continues the whole karma thing. Robert Milavetz of MGM says its bank, Wells Fargo, is at fault and should pay them back. The firm deposited the fake check from the Nigerian scammers in its Wells Fargo account. Then, in an effort to perform due diligence called the bank to make sure the check had cleared. Bank employees apparently told the firm that “yes” indeed the check had cleared. Of course, it had not. So, when the firm wired the money to Asia, their “client” disappeared with the loot. If we learned anything from the mortgage meltdown, it was to be careful about trusting what your bank tells you… but we digress. It’s little comfort to know that even supposedly smart guys get duped by this, but if you take anything away here, remember, there’s no such thing as easy money! Health Care Reform is at the center of a political tug of war that affects us all. As important as this is to our lives, few Americans actually know what the law actually does. As the Supreme Court ponders whether to declare it unconstitutional, CNN decided to break out 10 examples of what changes the law makes that could affect your life in unexpected ways. Everything from taxing tanning beds to requiring your doctor to disclose what perks they get from pharmaceutical companies to free preventive care for things like mammograms, physical exams, colonoscopies, and vaccinations. Using the “produce the note” strategy is something all homeowners facing foreclosure can do. If you believe you’ve been treated unfairly, fight back. We have created templates for a legal request, a letter to your lender and a motion to compel to help you through the process. Read the step by step “how to” under the videos. Special note: In some states, a lender can foreclose on your home without going to court. These are called non-judicial foreclosure states. You can still use the “Produce the Note” strategyin these states, but it takes a few more steps on your part. Tax day is fast approaching for all of us, and so, the Internal Revenue Service is putting out its annual warning of the top tax scams for us to beware of and avoid. Identity theft tops the IRS’s list of “dirty dozen” scams this year. Identity theft cases are the ones in which criminals obtain living or deceased people’s names and Social Security numbers to defraud the government. In addition to the law-enforcement crackdown, the IRS said its has stepped up its internal reviews to spot false tax returns before tax refunds are issued as well as working to help victims of the identity theft refund schemes. “An IRS notice informing a taxpayer that more than one return was filed in the taxpayer’s name or that the taxpayer received wages from an unknown employer may be the first tip off the individual receives that he or she has been victimized”, the department noted. Phishing ranks second in the list. Phishing is a scam typically carried out with the help of unsolicited email or a fake website that poses as a legitimate site to lure in potential victims and prompt them to provide valuable personal and financial information. A criminal can commit identity theft or financial theft using that information. If someone receives an unsolicited email that appears to be from either the IRS or an organization closely linked to the IRS, such as the Electronic Federal Tax Payment System, he or she should report it by sending it to phishing@irs.gov. Questionable return preparers have been known to skim off their clients’ refunds, charge inflated fees for return preparation services and attract new clients by promising guaranteed or inflated refunds. Taxpayers should choose carefully when hiring a tax preparer. This year, every paid preparer needs to have a Preparer Tax Identification Number (PTIN) and enter it on the returns he or she prepares. U.S. taxpayers who maintain financial accounts abroad and who do not comply with reporting and disclosure requirements risk significant penalties and fines, as well as the possibility of criminal prosecution. The IRS has reopened the Offshore Voluntary Disclosure Program this year following continued strong interest from taxpayers and tax practitioners after the closure of the 2011 and 2009 programs. Flyers and advertisements for free money from the IRS, suggesting that the taxpayer can file a tax return with little or no documentation, have been appearing in community churches around the country. Low income individuals and the elderly are normally the victims of such ads. The IRS warned that intentionally filing incorrect returns can result in a $5,000 penalty. Claiming income one did not earn or expenses one did not pay in order to secure larger refundable credits such as the Earned Income Tax Credit could have serious repercussions. This could result in repaying the erroneous refunds, including interest and penalties, and in some cases, even prosecution. Travel Clubs — Scams or Bargains? Have you received a sales pitch telling you of the wonderful bargains that you could get if you joined a travel club? For a lifetime membership of just $5,000, you, your spouse, and children can participate in thousands of incredible trips at half the cost, including airfare, luxury hotels, and other amenities. Only one problem – it may very well be nothing but a slick scam. CWN recently heard from a senior citizen couple who unfortunately got suckered into such a scam. Owners of a timeshare in a condo, they traded for a vacation at a beach resort in Daytona Beach, Florida. There, they were invited to an “owners welcome dinner,” where a sales representative pressured them to join a “travel club,” promising thousands of locations worldwide, with savings of between 40% and 70% below retail. This included airfare, hotels and car rentals. It all sounded great, so they paid more than $5,000 for a lifetime membership, which included their adult children as well. They looked over the contract, which seemed harmless, and could find nothing on the web to warn them off. Then they discovered that all they were being offered were second rate travel options at bargain prices they could have found on their own. As for the thousands of potential trips, every one they checked on turned out to be “unavailable.” They tried to cancel their membership, but got nothing more than unanswered phone calls. Many travel clubs have given the travel industry a bad name. Consumer protection sites often contain numerous stories of people who have been scammed by such clubs. If a travel club costs more than just a few dollars to join, it is most likely a very bad idea. If you join, you will be given a discounted menu of trips, but the restrictions will be prohibitive. For example, trips within 10 days of a holiday may be excluded, which means that in a calendar year there are only about 32 travel days that meet this restriction. And that luxury hotel on Waikiki may turn out to be a second rate hotel on a busy street eight blocks from the beach. To add insult to injury, many such clubs tack on a “handling charge” to the cost of your booking. If you don’t like your travel accommodations or schedule, you can “upgrade” for an additional charge. Consumer protection agencies like Florida’s have warned citizens about falling for such grandiose promises. “Major hotels” might mean a Super8 in a business district. “Major airlines” might include Turkmenistan’s national airline. Online searches will probably uncover bargains equal to or better than those being offered by the travel club (without the $5,000 fee). The Better Business Bureau has called travel clubs a “suspect industry,” in which consumers rarely make back in savings the cost of joining the club. The main thing you can do to avoid being cheated is to simply stay away from any travel club that costs more than a few dollars to join. Travel clubs don’t control discounts. Only the suppliers of travel (airlines, hotels, etc.) can offer such discounts, and these are usually available directly to you. If you are being promised the use of “major hotels” and “major airlines,” demand to know the actual names so you can judge for yourself. And while you’re at it, don’t rely on the phone numbers or web links offered to you by the travel club to double check on the quality of the travel accommodations. If you don’t have the time or inclination to do your own search for travel bargains, you can always turn to a reputable travel agent who knows how and where to find deals, and who is working to keep you satisfied. Travel can be a wonderful way to unwind from a stressful job, or expand your horizons. The last thing you need is to find out you’ve been cheated out of $5,000. 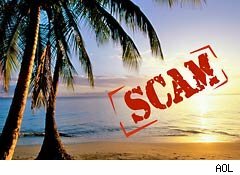 Written by Terry Smiljanich · Filed Under Top Stories, Your Money | Comments Off on Travel Clubs — Scams or Bargains? Are You Part of the Disappearing Middle Class? If part of the American dream is that your children will do better than you did in life, this country is headed in the wrong direction. Nearly one third of Americans who were raised in the middle class dropped down the economic ladder as adults — and that’s before the Great Recession hit. Click here to learn more and see a report by CNN. Written by Angie Moreschi · Filed Under Featured, Your Money | Comments Off on Are You Part of the Disappearing Middle Class? Americans struggling with student loan debt got a dose of “hope” from President Obama, when he announced his new plan to help ease student loan debt. Unfortunately, it seems to be more false “hope,” than true relief. There’s no doubt the problem is significant and needs attention. Student loan debt reached $1 trillion this year, which now exceeds Americans’ credit card debt. The administration says that the President’s plan does not need congressional approval. Critics deem the President’s plan politically motivated to attract young voters and members of the Occupy Wall Street Movement. The critics’ description of the President’s plan as “more of the same,” and a political nod to key voting demographics, may not be too far from the truth. The White House Press Secretary’s release about the President’s plan led with the title “We Can’t Wait.” Yet it seems like waiting is exactly what struggling student loan borrowers will be doing before they see any meaningful relief. The plan announced by the President, touts decreasing student loan payments, allowing students to consolidate their loans for ease of payment, and helping students make better borrowing decisions. We’ll analyze the various aspects of the plan so you can decide whether you think Americans are seeing the change they’ve been hoping for. Under the IBR plan, eligible borrowers currently pay a maximum federal student loan payment of 15% of their adjusted gross income minus 150% of the poverty level for their family size. Under the plan just announced, that percentage changes to 10%. This 10% cap isn’t exactly new. It was part of a law passed in 2010, but the President bumped up its effective date from 2014 to 2012. However, to get this reduction, a borrower needs to have taken out a student loan after 2012. So, if you’ve already graduated, this “relief” does not help you. It will only help the people taking out loans in 2012 after they graduate and go into repayment. Because federal student loan payments are not due until six months after graduation, it will be some time before this program provides any large-scale benefits. The White House estimates that approximately 1.6 million borrowers could benefit from this proposed change, while the number of student loan borrowers is currently estimated to be over 36 million. Currently, borrowers who participate in the IBR plan and other payment programs on their federal student loans are eligible for loan forgiveness after 25 years. Under the President’s new plan, forgiveness would occur after 20 years. While five years without loan payments sounds wonderful, it is two decades too far into the future to have any impact on those currently struggling with student loan debt. The President’s plan also touted the opportunity for borrowers to consolidate several student loans into one loan. The borrower benefits by now only having to make one monthly payment to a single lender. But loan consolidation is nothing new; it’s been around for years. And, making payments to separate lenders is not the reason for the continued increase in student loan defaults. Direct Loan Consolidation, combining separate federal loans into one loan, has been available for years. The beginning interest rate for a Direct Consolidation Loan, was, and still will be, the weighted average of borrower’s federal student loan interest rates. Now what about the 0.5% interest rate deduction we’ve heard so much about? Don’t get too excited too quickly. First, Direct Loan Consolidation already had a 0.25% interest rate reduction for borrowers willing to make their payments through the Department of Education’s automatic debt system. That benefit is simply sticking around for new Direct Loan Consolidation borrowers. To qualify for a Special Direct Consolidation Loan, you must have at least one federal loan owned by the Department of Education and at least one federal loan owned by a commercial lender, also known as a FFELP lender, such as Sallie Mae; Nelnet; or ACS. Borrowers may get confused here because they may have a loan owned by the Department that is serviced by a commercial lender. Such a loan will not count as a loan owned by a commercial lender. In the past three years, many commercial lenders sold their federal loans back to the government under the Ensuring Continued Access to Student Loans Act of 2008, further lessening the number of students who will fall into this category. And for those very few lucky individuals who do qualify for Special Direct Consolidation, that 0.25% extra interest rate reduction only applies to the FFELP loan portion of your loans. Calls to the federal student aid hotline confirmed that the details on how this reduction will work are not clear. However, in a traditional Direct Loan Consolidation, the consolidated loan’s interest rate is calculated based on the weighted interest rate of your loans. For example, if you had $10,000 in Direct Loans with a 6% interest rate, and $10,000 in FFELP loans with a 6.8% interest rate, using the Federal Direct Consolidation Loans Online Calculator, you’re consolidated loan interest rate would be 6.4% on a $20,000 loan. But with the Special Consolidation Loan, your FFELP loans would likely be calculated at a rate of 6.55% (6.8% minus 0.25%), making your Special Direct Consolidation interest rate 6.375% on a $20,000 loan. Wow! This means that on your $20,000 Super Special Consolidated Loan, you are saving FIVE DOLLARS A YEAR! Those who may be fortunate enough to qualify for the Special Direct Loan Consolidation are being warned not to begin any applications for Direct Loan Consolidation at this point. If they do, they will not be eligible for the special consolidation. Instead, borrowers should patiently wait to see if they are notified of their eligibility in January 2012. The President also stressed the importance of students making informed borrowing decisions. He specifically referenced the “Know Before You Owe, initiative” a joint action underway by the Department of Education and the new Consumer Financial Protection Bureau. “Know Before You Owe” is aimed at helping students better understand the risks, benefits and costs of student loans. It is unlikely that this initiative will provide any benefit to people already struggling with student loan debt. Aside from the obvious answer, which is that almost no one benefits from the programs announced by the President, those who certainly don’t benefit are people already in default on their loans and those struggling with private student loans. True private student loans are the kind that are not backed by the government; feature high interest rates; and that have nearly across the board refusal by lenders to modify payments. No current legislation or proposal addresses any relief for these borrowers. 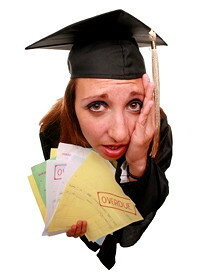 Additionally, for those who already defaulted on their federal student loans, the plan does not offer a helping hand. With defaulted loans, lenders can still threaten, and carry out, garnishment of up to 15% of your disposable income and interception of your tax returns. It may look politically smart to dangle the carrot of financial help to students struggling with overwhelming debt, but hollow promises will backfire in the end, when students realize it’s more talk than tangible help. Haven’t we been down this road before? America’s Safest Cars – Which Ones Are the Best? Safety is one of the major concerns for anyone considering the purchase of a car. But how do you go about rating a car’s safety? Based purely on the laws of physics, size matters. A 5694 pound Cadillac Escalade in a collision with a 2668 pound Mini Cooper is no contest. As Sancho Panza says in Man of La Mancha: “Whether the stone hits the pitcher or the pitcher hits the stone, it’s going to be bad for the pitcher.” In the long run, however, big is not always safer. The Hummer H3, for example, was big and heavy, but had a mediocre safety record. Forbes Magazine, using its own criteria, ranked the BMW 5 Series, the Cadillac CTS, the Subaru Legacy, and the Hyundai Sonata as the safest cars on the road. Consumer Warning Network decided to take a simpler approach. We looked at the IIHS information, compiled by its Highway Loss Data Institute. We reviewed the data to find out which cars came out on top, regardless of size or cost, based on actual insurance claims for personal injury, collision and medical payments. We looked at average claims instead of total claims. By using this approach, we were able to even the playing field between cars that sell in high volume– which would be expected to have higher total insurance claims– and those that sell in low volume. Between the years 2008-2010, the answers are somewhat surprising. Yes, the light, fast Corvette actually has, on average, lower insurance claims for bodily injury. This means that Corvette owners present lower average claims to their insurance companies for bodily injury. There is most probably a good reason for why this is so. Corvette owners are more likely to “baby” their special car, and less likely to drive their Corvette on long trips or in heavy commuter traffic. As for the others on the list, a combination of safety features results in lower average bodily injury claims. Each of these cars is more than twice as dangerous as any of the cars in the top list in terms of bodily injury claims. Again, driving habits of typical owners may play a part in some of these results. Coming in close behind these leaders are the Honda Accord and the Acura TL 4DR. There’s no sure fire way to come to a final answer on car safety, with so many variables to consider. Regardless of safety features, size, interior reinforcement, and strength of materials, however, when it comes to which cars are resulting in fewer average claims for actual bodily injury and damage to a vehicle, insurance statistics provide one good way of coming up with an objective standard. Written by Terry Smiljanich · Filed Under Consumer Alerts!, Top Stories, Your Money | Comments Off on America’s Safest Cars – Which Ones Are the Best? Finally, a less expensive alternative to the ever popular Apple iPad in the very crowded electronic tablet market. The Amazon Kindle Fire premiered to much anticipation but also skepticism. Many tout the Kindle Fire’s ability to play Adobe Flash Video, while Apple has refused to include this feature. Kindle Fire’s lower price point of $199 also makes it an attractive alternative to the iPad, which starts at $499. So, is the Kindle Fire an iPad killer? Click here to watch a comparison and decide for yourself.